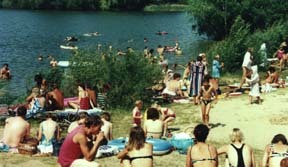 Wandlitz, Germany is famous for a lake that attracts visitors from Berlin. In 1267 Wandlitz was founded. Now it has 4650 residents but more and more people (most of them from Berlin) want to move into this area. When you want to have some special information about the history of Wandlitz and it is residents, you can visit the museum of agriculture or you can go into the library. Here you can find 23 restaurants and 4 hotels which invite you to spend some time in Wandlitz. Especially in summer they are always overcrowded. 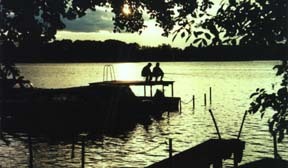 In this time you also can go to the lake of Wandlitz. It’s a nice bathing beach, good for swimming, having fun or doing watersports. Wandlitz has a surfing school but you also can go sailing if you want to. Wandlitz is very interested in communication with other countries. It has relations with France and Poland. You already know about our grammar school which is situated in Wandlitz. It has about 800 students. But there is a primary school with 300 students, too. It isn’t difficult to reach Wandlitz because you can get here by train (Wandlitz has two stations), by bus, by bike, and of course by car.